This is one of many books I’ve picked up over the years but hadn’t gotten around to reading. A deceptively easy read, this one’s packaged in bite-sized portions so I found myself able to pick it up and put it down, and still finish the entire book over the weekend. 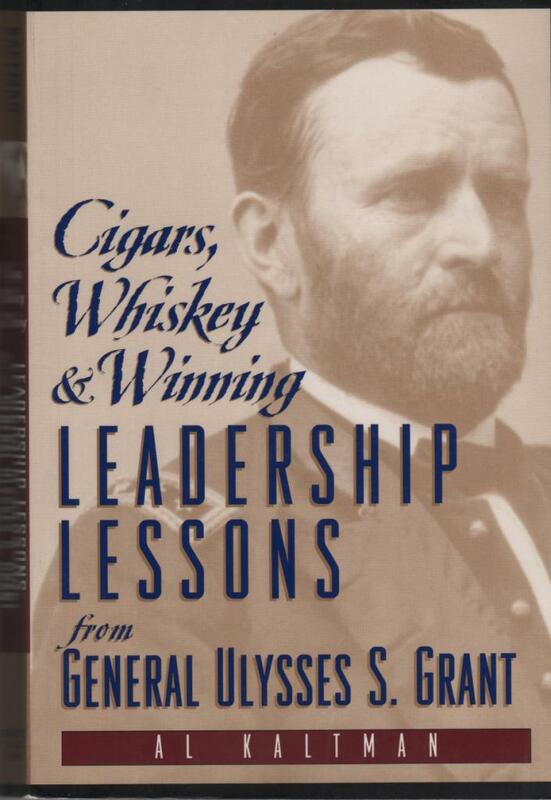 The sub-title is “Leadership Lessons from General Ulysses S. Grant”. The book offers 250 lessons, a page to each. Each page begins with a brief preamble to set the stage, then offers an excerpt from General Grant’s memoirs (themselves published after his death in 1885), and concludes with the summary lesson, placed in a modern times context. My copy of the book is covered with yellow highlighter, not something I do habitually, and an indicator of keen interest on my part. As I worked my way through the book, I found myself often staring into space, relating what I read to my own experience. For me, that’s the sign of a good read. If I can put a book down and declare that I come away with just one good idea, it’s been a worthwhile investment of my time. Anything more than that is a bonus. In truth, there’s nothing truly earth shattering in what I read, but it’s an excellent ‘back to basics’ refresher, set on an historic stage, and with a fascinating, larger-than-life character front and centre. Bottom line is that, depending on your mood and your circumstances, this book may offer you both an enjoyable read and contextual value as you consider real-life situations. I recommend it heartily. Here are 50 snippets that set me to thinking. All of these are direct quotations from the book. The italics are from Grant’s own memoirs (another reading assignment for me to get to sometime soon), linked here. … it didn’t matter what he or his parents thought his name was, the official application said his name was “Ulysses S.” and that application could not be changed. If Hiram U. Grant wanted to attend West Point, he would have to change his name… The Lesson: Bureaucrats will blindly obey whatever set of rules they are instructed to follow even if this leads them to take completely illogical or patently nonsensical actions. … you can’t bargain effectively… by laying your cards face up on the table. … first, that things are seen plainer after the events have occurred; second, that the most confident critics are generally those who know the least about the matter criticized. Your real focus should be on effectiveness, not style. Without meaningful work, life stinks. A bad reputation is difficult, if not impossible, to shake. … take a deep breath and press on. No one likes to work in an environment where there are no rules and anything goes. Your people need and want structure, and they will respect you for providing it. Wherever possible, treat errors and mistakes as opportunities for additional training rather than as offenses requiring punishment. You are always better off to operate shorthanded, with unfilled positions, than you are to retain poor or unreliable performers. For the good of your organization, family and friends should not receive special treatment. … two commanders on the same field are always one too many. The best way to kill a good idea is to submit it to a committee to study. You can’t accomplish very much if you scatter your resources and allow yourself to become overextended. Doing business with your competitors is like peeing in your own soup. You always have to put the good of the organization ahead of your personal feelings. If you don’t want your organization’s effectiveness to suffer, you need to keep your staff busy. Because I would not divulge my ultimate plans to visitors, they pronounced me idle, incompetent and unfit to command men in an emergency, and clamored for my removal… I took no steps to answer these complaints, but continued to do my duty, as I understood it, to the best of my ability. … success is the way to silence criticism. Sometimes… it is better to have a successful project and tie up the loose ends afterwards, than to deliver a neatly wrapped failure. Nothing boosts morale so much as success. … don’t exaggerate and don’t get emotional. Even if your resources are too limited to drain the swamp, you can at least kill a few of the alligators while waiting for help to arrive. You won’t learn anything while you’re doing the talking. Have the good sense to take sick leave if you’re ill. Confident, self-assured managers don’t worry about where they sit at the table. Jefferson Davis… had an exalted opinion of his own military genius… On several occasions during the war he came to the relief of the Union army by means of his superior military genius. If you have to watch your back because of a subordinate, get rid of him or her. You can’t do your job if you’re standing with your back to a wall. … having been selected, my responsibility ended with my doing the best I knew how. Planning begins by developing the strategic objectives that must be met for the organization to fulfill its mission. [Abraham Lincoln] “… if a man can’t skin he must hold a leg while somebody else does.” … You can’t afford to have anyone sitting on the sidelines. … rarely will you get in trouble for starting a project early, only for completing it late. The road to success is rarely smooth going; it takes persistence and tenacity to get there. Artillery is very useful when it can be brought into action, but it is a very burdensome luxury where it cannot be used. If you keep shooting the messengers, they will stop coming. If you focus only on the obstacles, you will lose sight of the goal. You can’t be too careful in your choice of words. It pays to plan for contingencies. … ferret out the truth when confronted with a situation that you sense may be rotten at the core. … our worst misfortunes usually occur only in our imaginations. If you have managers who are ineffective because of inherent character flaws, lose no time in replacing them. Good news is wonderful medicine. There are journalists who look to make the news rather than to report it.